Tony Wagner has served as Co-Director of the Change Leadership Group (CLG) at the Harvard Graduate School of Education since its inception in 2000. He is also on the faculty of the Executive Leadership Program for Educators, a joint initiative of Harvard’s Graduate School of Education, Business School, and Kennedy School of Government. Tony consults widely to public and independent schools, districts, and foundations around the country and internationally and has been Senior Advisor to the Bill & Melinda Gates Foundation for the past nine years. Tony has worked for more than thirty-five years in the field of school improvement, and he is a frequent keynote speaker and widely published author on education and society. 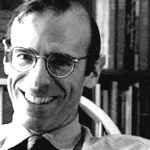 Prior to assuming his current position at Harvard, Tony was a high school teacher for twelve years; a school principal; a university professor in teacher education; co-founder and first executive director of Educators for Social Responsibility; project director for the Public Agenda Foundation in New York; and President and CEO of the Institute for Responsive Education. He earned his a Masters of Arts in Teaching and Doctorate in Education at Harvard University. Tony’s publications include numerous articles and four books. 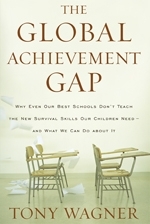 Tony's latest book, The Global Achievement Gap: Why Even Our Best Schools Don’t Teach the New Survival Skills Our Children Need—And What We Can do About It has just been published by Basic Books. His other titles include: Change Leadership: A Practical Guide to Transforming Our Schools, Making the Grade: Reinventing America’s Schools, and How Schools Change: Lessons from Three Communities Revisited. Tony Wagner's "Seven Survival Skills for the New Economy"
Despite the best efforts of educators, our nation’s schools are dangerously obsolete. Instead of teaching students to be critical thinkers and problem-solvers, we are asking them to memorize facts for multiple choice tests. This problem isn’t limited to low-income school districts: even our top schools aren’t teaching or testing the skills that matter most in the global knowledge economy. Our teens leave school equipped to work only in the kinds of jobs that are fast disappearing from the American economy. Meanwhile, young adults in India and China are competing with our students for the most sought-after careers around the world. Education expert Tony Wagner has conducted scores of interviews with business leaders and observed hundreds of classes in some of the nation’s most highly regarded public schools. He discovered a profound disconnect between what potential employers are looking for in young people today (critical thinking skills, creativity, and effective communication) and what our schools are providing (passive learning environments and uninspired lesson plans that focus on test preparation and reward memorization). He explains how every American can work to overhaul our education system, and he shows us examples of dramatically different schools that teach all students new skills. In addition, through interviews with college graduates and people who work with them, Wagner discovers how teachers, parents, and employers can motivate the “net” generation to excellence. An education manifesto for the twenty-first century, The Global Achievement Gap is provocative and inspiring. It is essential reading for parents,educators, business leaders, policy-makers, and anyone interested in seeing our young people succeed as employees and citizens.